Our spring break is now over…wah-wah…and now we are back in school mode around here. Madison is back at school and Bryce has a full homeschool week! It’ll be nice to have some special time, one-on-one with him, like we use to have when he was 100% on homeschool. While we were on spring break we did something we had never done before, went to an indoor trampoline park! The kids and I met up with one of my best friends from high school and her kids at Aerosports. To say we had fun was an understatement!!! My kiddos especially loved the foam pit! 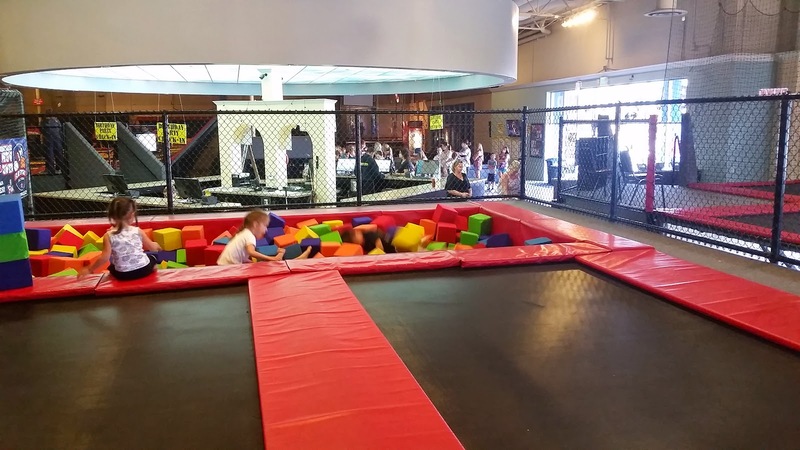 The one pictured below is the smaller foam pit for smaller kids and then there is a big foam pit for big kids too! Watch the video below for some fun clips of the kids! I am apologizing in advance for the BADDDDDD picture quality, the pics where shot with my phone…I should of just brought my small camera!? Oh well…live and learn, right?! See that blur in the air…??? Yeah, that’s Bryce!!! The kids loved this! AND do you know what was even better…it got them nice and tired for a good nap that afternoon!!! 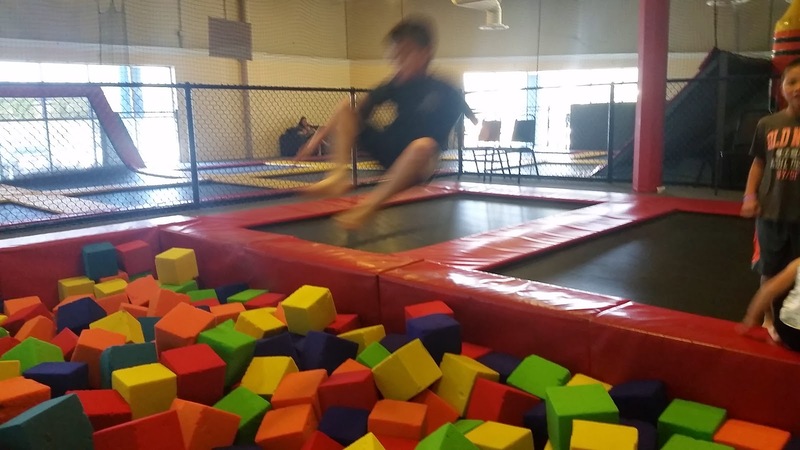 In the picture, above his head is the BIG foam pit, and where he is running, is the runway where you can run and jump as fast as you can! This place was well worth the money, I believe it was about $10-$12 a kid, for an hour and a half! 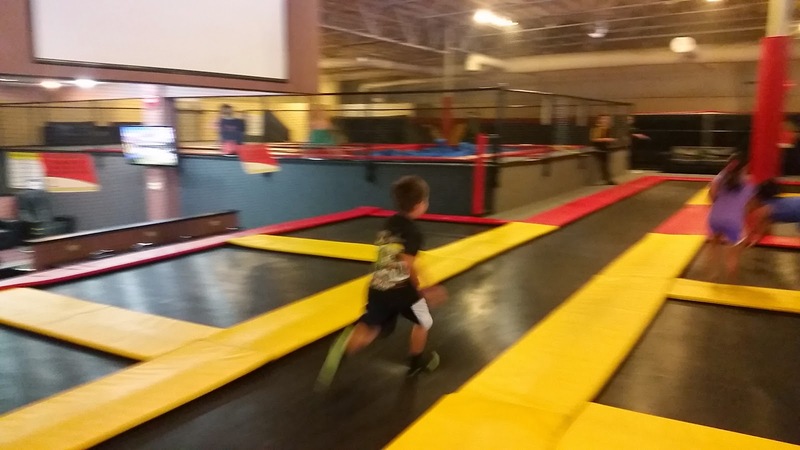 If you don’t have an Aerosports around you, go to Google and type indoor trampoline parks and I’m sure there is probably one within driving distance of you. All for now…I have a list a mile long I need to start tackling! Also if you haven’t subscribed to our YouTube channel, do it…we have been posting quite a few video lately! Next Post WHAT’S BEEN GOING ON!